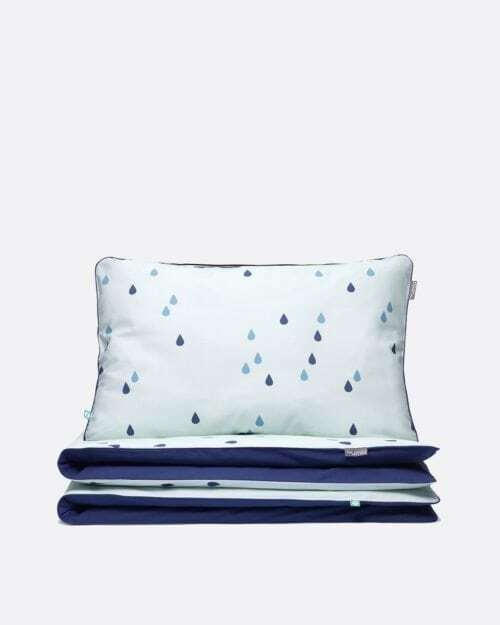 Rainy days have never been so playful with this raindrops bedding set! Unique, playful and unisex. The gorgeous reversible Raindrops Mint bedding features a solid navy on one-side and raindrops patterns on a mint background on the other.